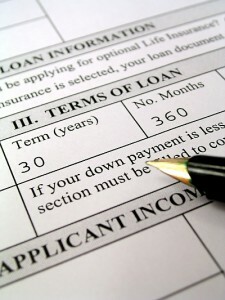 Mortgage rates returned to record low levels yesterday, according to Freddie Mac’s latest weekly mortgage rate survey. According to the Freddie Mac survey for the week ended September 20, 2012, 30-year fixed-rate mortgages averaged 3.49 percent, matching the record low set late in July. Last week, 30-year fixed home loans were at 3.55 percent. A new historical low was set for 15-year fixed-rate mortgages; average rates tumbled from 2.85 percent last week to 2.77 percent as of yesterday. The previous record low was 2.80 percent, set at the same time as the record for 30-year fixed loans. Last Thursday, the Fed confirmed that it would buy $40 billion a month worth of mortgage-backed securities, a move known as quantitative easing, or QE3, as this is the third implementation. QE3 is intended to drive further recovery for the country’s housing market and overall economy; this would lead to lower mortgage rates, thus better opportunities for homeowners to refinance. Many analysts see this continuing trend as something that could potentially help the struggling U.S. housing market. Refinancing homes under these lower rates could help people reduce the amount of interest they spend on their mortgages. However, home sales figures have been slow to recover, and in fact, have been lower in some categories month-on-month. Previously occupied home sales, for instance, dropped to 4.55 million for the month of May, yet still increased on a year-on-year basis. Last year, mortgage rates were at 4.09 percent for 30-year fixed-rate mortgages, so borrowers can potentially save more than $1,000 annually if they would refinance now. Companies like PrivoCorp - the fastest contract mortgage processors in the country are the ones to look for by brokers. If you are a borrower, then go to companies like First Rate Mortgage Group (www.firstratemtg.com) for the lowest rates in the country.